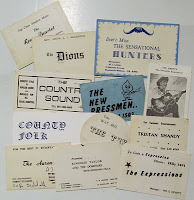 Liverpool was alive with musicians in the early sixties. 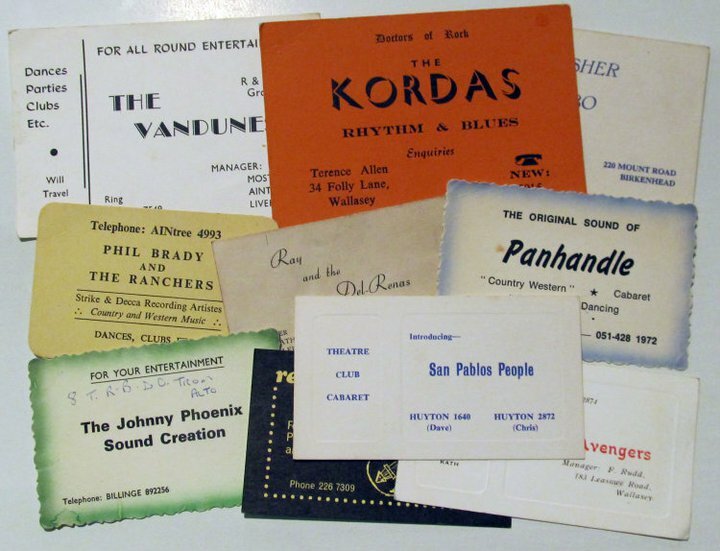 Bands sprang up everywhere, and to help get the word out to promoters they had business cards. 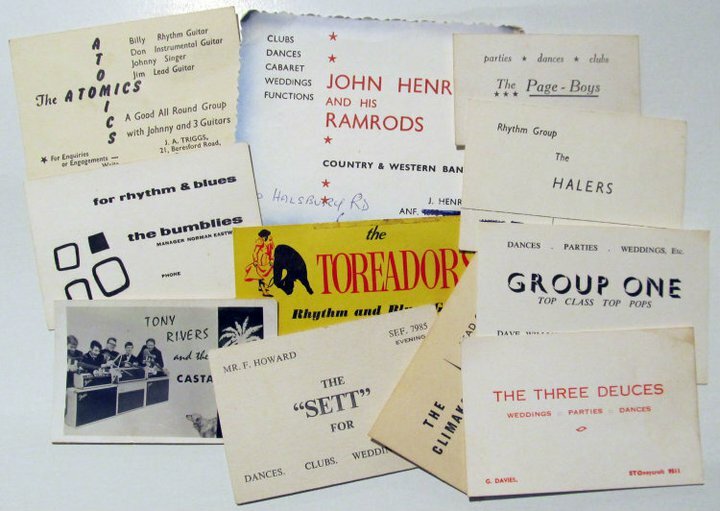 These small pieces of card offer an interesting insight into the group culture of the time, helping to document the myriad of musical groups available for bookings. 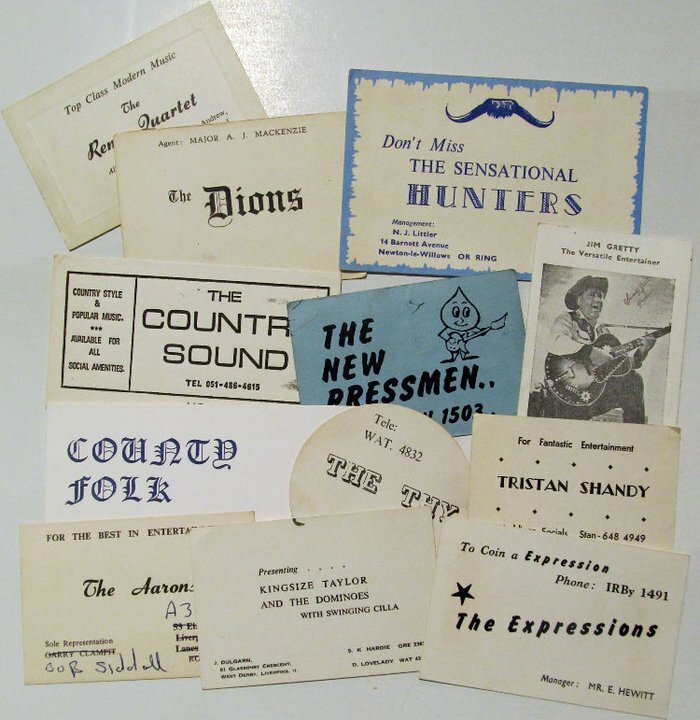 There's three bundles of around 20 different musical group business cards going into the Auction in August. 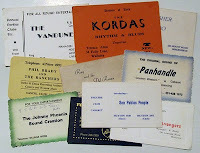 Each bundle is estimated at £40-£50.